Our goal is to connect people with the best local experts. We scored home inspectors on more than 25 variables across five categories, and analysed the results to give you a hand-picked list of the best home inspectors in Tacoma, WA. A-Pro Home Inspection is a home inspection company founded in 1994 and located in Tacoma, Washington. Their home inspection services include homebuyers inspection/pre-purchase home inspection, home sellers inspection, new home warranty expiration inspection, maintenance home inspection, FHA inspection, HUD inspection, and more. A-Pro Home Inspection also provides an HUD 203k program, certified home inspection, new home construction inspections: phase completion, and final walk-through. This home inspection company is associated and affiliated with the Inspection Training Institute. A-Pro Home Inspection is a CHI Board Certified Inspector and is a proud member of the International Society of Home Inspectors. A-Pro Home Inspection is a Better Business Bureau accredited business with an A+ rating. When homeowners in Kitsap County and the surrounding areas need a home inspection service, they often turn to Allegiance Home Inspections. Their professionals are licensed as home inspectors and as licensed structural pest inspectors. For homeowners planning to put their property on the market, the company offers seller or pre-listing inspections. This inspection will provide information that the home is safe and many people use it as a marketing tool. They also offer mold and major system inspections, which includes electrical, roof, plumbing, HVAC, attic, and more. Their team also provides thermal imaging inspections, that allows the inspector to show homeowners things that can’t be revealed using conventional inspection methods. This inspection will help find plumbing leaks, heat loss in walls, floors, windows, and doors, missing and damaged wet insulation, and more. Located in Tacoma, Washington, DBI Building Inspections specializes in property inspections. Their services include residential inspection, commercial inspection, and building defect inspection. DBI Building Inspections strive to provide professional and reliable services. Company president, Blaine DeVoy, is a licensed home inspector with years of experience in inspecting a broad range of properties including newly constructed structures, townhouses to condominium units. DBI Building Inspection comprises a team of certified and trained inspectors who can inform property owners about the correct and current condition of their properties. Their inspectors rely on ASTM standards to assess the condition of the properties so that clients can expect reliable assessments and quality work. DBI inspectors are open for appointments every day from 8:00 am to 9:00 pm for customers in need of property inspection and knowledgeable services. Exploratory Home Inspection is an industry-leading, 5-star rated home inspection company in Lakewood, WA, that provides professional home inspection services. Their owner and inspector can perform both whole-house inspections and partial inspections. He also specializes in third party inspection and foundation inspection. He performs third party inspections for realtors, lending institutions, and insurance companies, delivering quality workmanship each and every time. 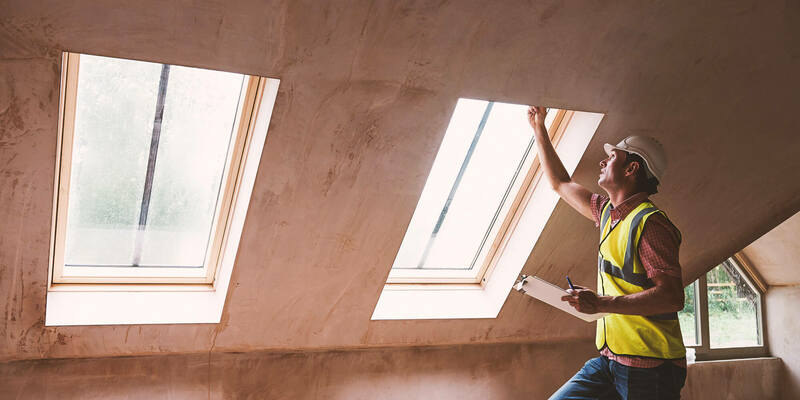 Additionally, Exploratory Home Inspection offers periodic inspection to help clients save money and mitigate potential problems in their property. Exploratory Home Inspection takes great pride in delivering customer satisfaction and excellent service in each inspection they perform. Grit City Home Inspection is a state-licensed, fully insured provider of visual examiner of residential properties in Tacoma and several other neighborhoods in the Seattle metro. The company has an affiliation with the American Home Inspectors Training Institute, and it always aims to meet the clients’ requirements and exceed their expectation. The firm is a homegrown trade that has a thorough familiarity with the region’s environmental and real estate market conditions, and it delivers the comprehensive, accurate, and unbiased report onsite. Grit City Home Inspection commits to performing the checks within 48 hours of the request, and it offers a complimentary maintenance book to educate the owners on how to keep their investment and shelter safe, comfortable, and pleasant all year round. Home Inspection Experts, LLC is a home inspection company in Gig Harbor, Washington. Their service areas include Gig Harbor, Federal Way, Tacoma, Lakewood, Des Moines, University Place, Puyallup, and Port Orchard. They have more than 30 years of experience in the home inspection industry and have built hundreds of custom homes, spec homes, condominiums, apartments, duplexes, plats and residential lots throughout the entire Puget Sound area. Their services include pre-sale, roof inspections, and structural and foundation inspections. Home Inspection Experts, LLC performs plumbing inspections as well. This home inspection company is an expert in pre-sale residential property inspection services and has extensive education in the field of real estate business, law, and ethics. Platinum Home Inspections handles home inspections in Pierce County. The company is known for its attention to detail, efficient and timely results, and friendly crews, and services include inspections for different sizes of homes, condominiums, and mobile homes, and a pest inspection is included as well. The owner is a licensed and bonded contractor who spent years tearing down and rebuilding homes for his own investment purposes and is dedicated today to helping homeowners and home buyers understand real and potential issues with a property. He is a Licensed Home Inspector in the State of Washington, a Licensed Structural Pest Inspector, and a graduate as well as member of American Home Inspectors Training Institute, and both individuals and real estate agents appreciate his work. Safe Family Home Inspections LLC mission is to educate and protect property buyers in the state of Washington. The owner, Samuel Rea, is a certified home inspector with the state of Washington and was previously in the construction industry for over ten years. He and his wife founded Safe Family Home Inspections LLC in 2012 and 2017, moved their business to Spokane. Safe Family Home Inspections LLC was awarded Best Home Inspectors in Seattle 2016 by Expertise and offers many types of inspections including pre-listing, warranty, condo and townhouse, manufactured home, multi-unit, and commercial. They also offer sewer scopes and radon, water, mold, asbestos, and lead testing. Strong Foundations Home Inspection provides home inspection services to residents in the Puget Sound. The team specializes in making sure buyers have the right information when purchasing a home, and most inspections last two to three hours with crews also offering inspections for new constructions, warranty expirations, pre-listings, investor and multi-unit properties, and safety and maintenance. Clients can also request a vacant property walk-through, receive a detailed report within a few hours after an inspection is completed, and are welcome to ask questions about it indefinitely. Interested parties can view a sample report on the company's website, and Strong Foundations Home Inspection is certified by InterNACHI as well as AHIT and took home an Angie's List Super Service Award in 2016.